Want to buy some Nike running shoes but don’t know what to choose out of the thousands of different types of running shoes that Nike has to offer? Well, take a look at this article. I am a trusted and reliable source when it comes to Nike shoes. I’m an avid runner all my life. I started when I was 15 and never looked back. Running is a huge passion of mine. While I have purchased many different brands of sneakers for running, Nike shoes have always been the very best for me. Many professional athletes will also vouch for the popular sporting goods brand. So let’s go into depth about what a typical runner should look for in a good running shoes. 1. You need a shoe that was designed for running. 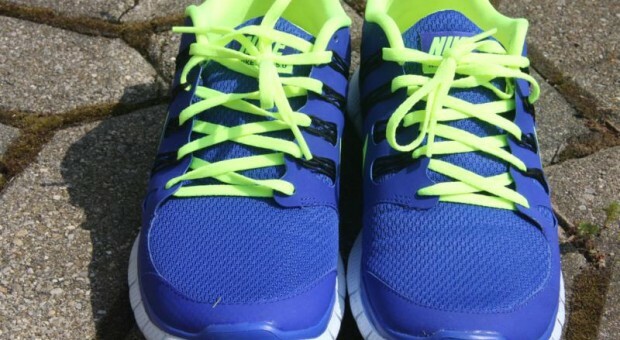 While you may think all athletic shoes are made the same, they are not. Running involves a very specific and repetitive movement of the foot, steaming from the heal to the toe, while repeatedly bouncing your whole entire body weight up and down. The right shoes with the right shock absorbency is very important. You also need to think about the traction, grip and the fabric to allow your feet to breathe as you pound the pavement. 2. You may think you need an expensive shoe, but quality is more important. While the statement, “You get what you pay for” is true, it’s also very deceiving. You can get a reasonably priced running shoe without having to break the bank. Yes, the quality of the shoe is important and in theory the more expensive the shoe is, the more quality you will have. Nike shoes are made for quality but also for affordable pricing options for the regular average Joe. a. Make sure the heel is locked in tight. Try lacing the shoe to make sure your heel will not slide up and down but not so tight that you can’t wiggle your toes. b. Leave a tiny half centimeter empty over the big toe. If your big toe is touching the very top of your sneaker and rubbing, the shoe is too small. If you have an inch of room in between the big toe and the top of the shoe, it may be too big for your foot. c. Make sure you know the difference between laces being too tight and have a narrower shoe than you need. Many people need a wide width fit while some need a narrow fit. Be sure that you are checking between the difference of lacing your shoes too tight or the fit just being too narrow for your foot. So what does Nike have to offer as far as running shoes? I have my favorite picks. As I said before, I have purchased many running shoes, most of them through Nike. Nike sneakers have always given the support and high quality I needed in a running shoe. I will go over a few of my favorites that I have used over the years. 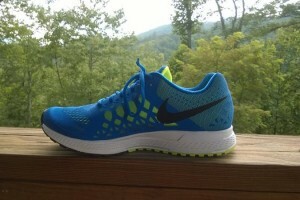 First, I would like to start off with the Nike Zoom Pegasus 31. It’s a certain series of the Nike running shoes that I really prefer. This shoe was made for the avid runner. It has plenty of memory foam cushion while still feeling very light weight. It also is made out of very breathable mesh-like material to ensure that your feet can breathe freely. I also want to mention the Nike AirZoom Elite 7 shoe. This running shoe is lighter than most other running/trainer shoes and also features asymmetrical lacing to help reduce lace pressure. The interior mesh sleeve helps to make for a tight snug fit as well, it helps keep the feet feeling secure. I would really recommend this running shoe for new runners. The Nike Free 5.0 is also another shoe to look into if you need a good running shoe. This shoe has a wide appeal to not only runners, but other athletes as well. It has a great upper fit, well cushioned underneath and a very flexible ride. 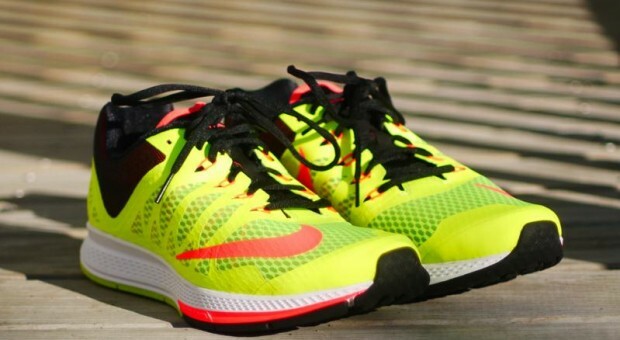 This shoe can transition from a running shoe into a great training shoe. It’s a really perfect shoe for those who want to cross-train or incorporate other workouts into their running routine. So, there you have it. My three personal picks on the best running shoes available from Nike. I can personally say that I purchased and used each product that I have listed and they will not disappoint. Just remember when choosing a Nike sneaker for running or any other fitness need that you need to do some research into what would be the best fit for you and your needs. In all honesty, any Nike product that you purchase is going to be comfortable and high quality. I would definitely recommend purchasing a Nike product before any other brand on the market. Now checkout my personal favourite Nike running shoes here.